The Californian city is working to cut its greenhouse gas emission in half in 20 years. San Diego, California, the eighth largest city in the United States, has vowed to make the shift to 100% renewable energy by 2035; a move that will halve its greenhouse gas emissions. Although other major U.S. cities like San Francisco and New York have said that they intend to use more clean energy sources, San Diego is the largest municipality in America to fully commit to switching to entirely renewable power sources. The city will take several steps to implement its goals including adding more electric vehicles to the road. The eco-friendly decision resulted from a unanimous City Council vote. Several targets will need to be achieved for the city to reach its primary goal in 20 years. For instance, city officials said that one of the objectives is to shift half of the city’s fleet to electric vehicles by 2020, and increase the number of zero emission vehicles in the city’s fleet to 90% by 2035. Another goal is to recycle 98% of the methane produced by sewage and water treatment plants, while another is to achieve net zero energy consumption for its buildings. San Diego’s pledge will help California with its renewable energy efforts to reduce greenhouse gas emissions by 80% by 2050. 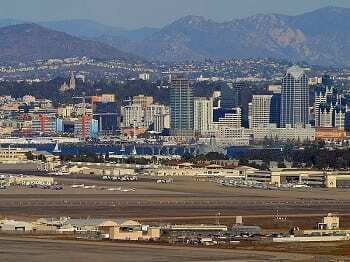 In a statement, the city’s mayor Kevin Faulconer said that San Diego’s Climate Action Plan drives forward some ambitious goals to ensure it meets its overall target. Its plans are part of a statewide move toward renewables. In the next five years, California is working toward reaching a 33% renewable target. San Diego’s green energy plan would result in a decrease of seven million metric tons of greenhouse gasses every year, according to Evan Gillespie, the director of the Sierra Club’s clean energy campaign in California. “We need others to see this and say, ‘Game on,’ ” Gillespie said. “We need places like Los Angeles, like San Francisco and New York, to step up,” he added.